Minimalistic networking equipment can be hit and miss. When you know exactly what you’re looking for, it tends to be a little easier to find the right gear. But with how network standards seem to change every couple of years, it’s also terribly easy to fall behind on new terminology. All you really need to know is this. Router technology has vastly outpaced the average connection speeds of ordinary people. In the United States, most people are using internet connection speeds in the ballpark of 70 Mbps. That kind of bandwidth capacity is something almost any router made in the past 5-years will be able to accommodate. Even for people who have amazing Gigabit connections, router hardware can now accommodate multi-gig ports, for even faster connections. Consequently, even modest wireless equipment is now often capable of delivering a deeply impressive price to performance ratio. It’s great that the technology keeps advancing, but when it comes to buying your next wireless access point, most people only want to pay for things they’ll actually be able to use. 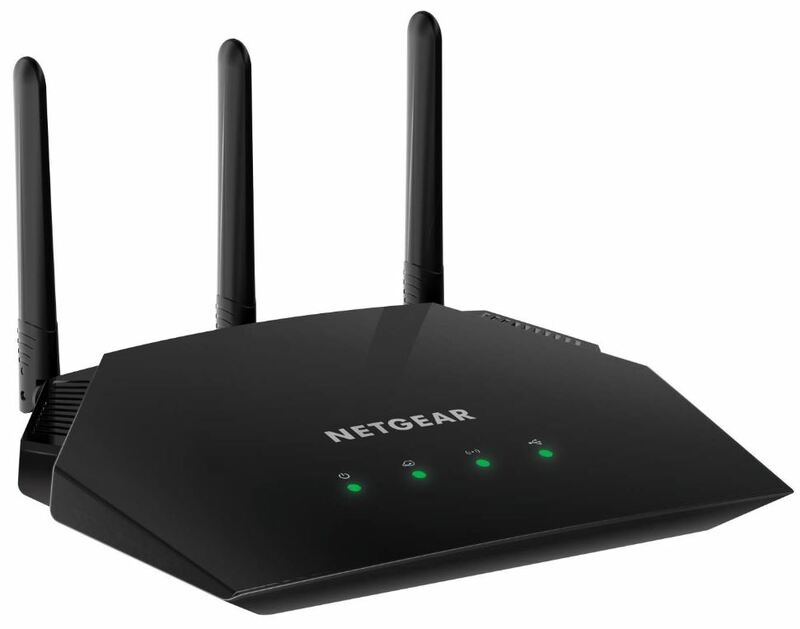 The Netgear WAC124 is attempting to be the sweet spot between present necessity and future value. It’s also a mixture of value and network capacity. As a wireless access point, the WAC124 can be used either independently as a router, or in conjunction with your existing network. That kind of adaptability isn’t too uncommon, but hasn’t been common on equipment in this price range until relatively recently. If you need to expand your network in the future, the WAC124 provides about the same ceiling for growth as equipment that costs four times as much. Often times, wireless equipment that’s made for a general audience will lack the features desired by specific power-users. For example, people who have special security concerns, or people who are looking to prioritize connectivity to entertainment applications. But with the WAC124, Netgear is really trying to cover all your bases. The WAC124 measures roughly 9.2 x 6.0 x 2.1-inches, and weighs just under one pound. It’s powered with a standard 12V power adapter, and it consumes about 16W during peak consumption. That makes the WAC124 run a little warm, but not so much you’d need to consider airflow during placement. Surprisingly enough, the WAC124 is actually a wall-mountable unit. That’s pretty rare for this kind of low-budget, home office router. Normally, mounting options are left for routers made specifically for businesses. Though it’s unobtrusive enough for a simple desk installation, wall-mounting can be slightly superior for your connectivity because it can provide superior positioning for your antennas. Whether or not you’ll want to consider a wall mount really depends on your own environmental circumstances, but it’s nice the option is present. On the backside of the WAC124, you’ll find four Gigabit Ethernet ports. Once again, that represents full scaled equipment. It’s just as many ports as you’ll find on equipment that costs four or five times as much as the WAC124, even some equipment that’s scaled for large scale use. You won’t find any special multi-gig ports, but those kind of features can only be used by a tiny handful of people, anyway. Even though this is a budget router, it still provides everything you’d need to setup separate hardwired connections for printers, desktop PCs, and so forth. There’s also a USB 3.0 port, which uses a USB-A type plug. You can use that port to share data across the network, or otherwise configure your WAP. It’s getting increasingly common to find homes with dozens of Wi-Fi connections within their walls. For a large family, you might be looking at half a dozen smartphones, and then half a dozen smart-home devices. 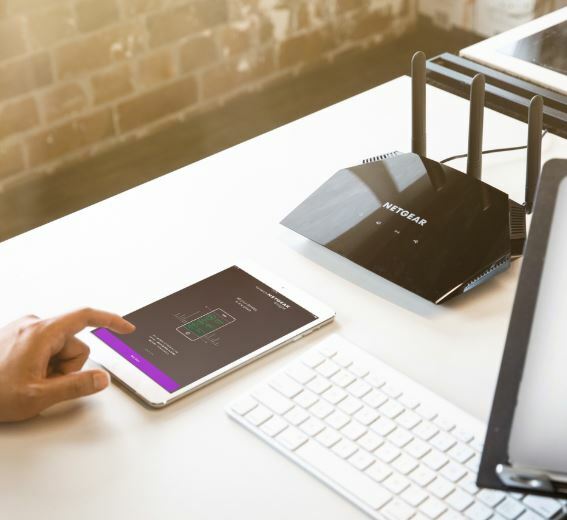 One by one, each device making a connection to your network can gradually accumulate to real network congestion. That’s why you need features like MU-MIMO, even if you’re using a smaller scale router. You can tell from its name, the Netgear WAC124 AC2000 WAP supports a maximum throughput of roughly 2Gbps. About 300Mbps comes across the 2.4 GHz band, while the remaining 1733 Mbps comes through the 5 GHz band. 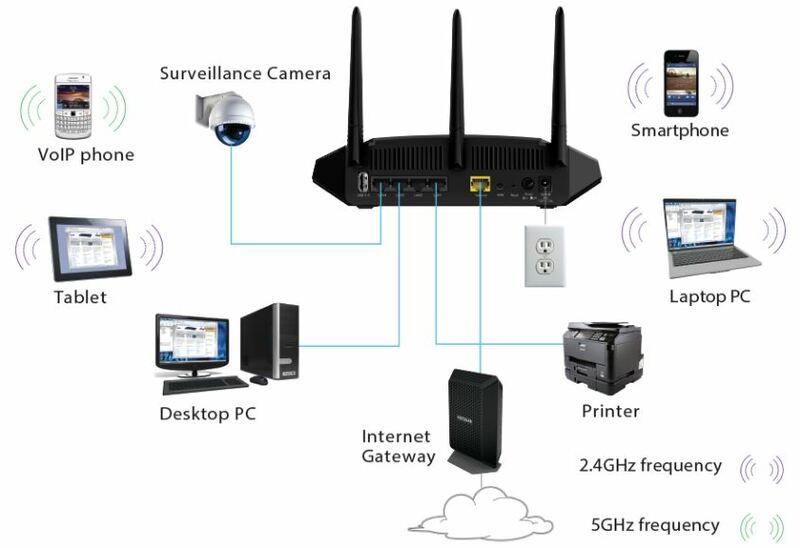 If you want to actually use all your wireless bandwidth, you’re going to need to position the WAC124 with line of sight on your bandwidth-intensive devices. That coverage is spread with the help of a 4×4 MU-MIMO network, beamforming, and a couple of antennas. Actually, the antennas are fairly high performance units, capable of 3dBi output. That’s just a hair above standard issue, and the antennas use a smart omnidirectional design that doesn’t require much in the way of special positioning. Connections which do not have line of sight with the WAC124 will be forced to use the 2.4 GHz band, spread with the help of beamforming. So when you step outside your front door, you’ll still have a Wi-Fi connection, but it’ll be restricted to the speeds provided by the 2.4 GHz band. 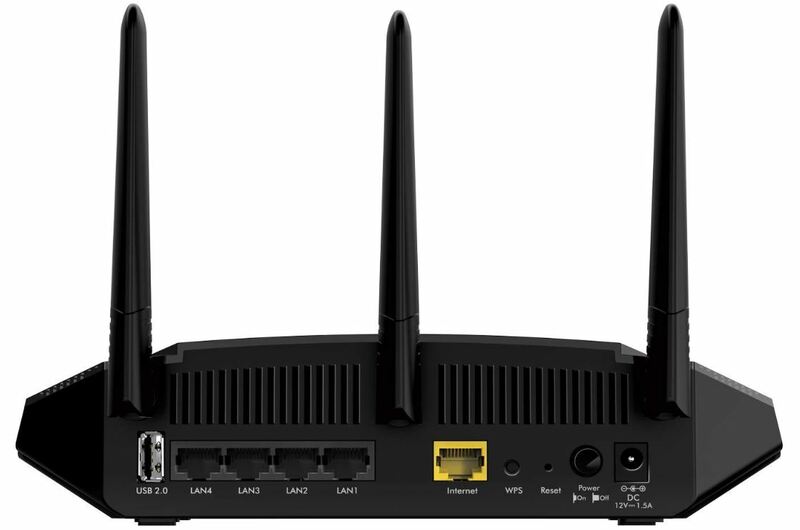 The WAC124 includes high performance 802.11ac Wi-Fi coverage. Unfortunately, they’re not using the very latest Wi-Fi architecture. But that actually has no real impact on the performance of the WAC124. After all, this router wasn’t really intended to be future-proof equipment. The maximum number of client connections for the WAC124 is 64, which is evenly split between the 2.4 GHz and 5.0 GHz band, which means a total of 32-users on each band. Though MU-MIMO is really only going to provide excellent support for the first four high bandwidth connections, and then strong support for the next sixteen. Additionally, the WAC can support three dedicated SSID network slots. You might use those to create separate networks for guests, employees, or administrators. Once setup, you could assign different characteristics to those networks. For example, you might prevent anyone on the guest network from downloading torrent files or accessing video streaming services. With respect to security, Netgear provides MAC address filtering, three BSSID options, and WI-FI Protected Access Pre-Shared Key (WPA-PSK.) Additionally, you get regular and automatic firmware updates from Netgear. That allows your network to stay protected against the latest security threats, and without having to micromanage and update the equipment on your own. While the WAC124 doesn’t make much fanfare about it, this equipment includes a VPN pass capabilities. That’s useful for either security conscious individuals, or businesses interested in extra layers of protection for their network. For the most part, creating a new network is really quite simple. It used to be a horrifyingly complicated process, as recently as only two decades ago. But the WAC124 can be installed with about as much difficulty as it takes to install an app on your phone. The Netgear app is pretty smooth. And it ought to be, they’ve been developing their user interface for a couple of decades now. Plenty of time to polish it, make it accessible, and make that accessibility available whether you’re shopping for entry-level or top-shelf equipment. Though if you move from the setup interface on PC to the app interface, you’ll find the two don’t look totally identical. Both are actually capable of nearly all the same functions, but minor differences in navigation mean you might have to learn two separate interfaces. Part of that probably an unavoidable part of moving between such diverse platforms, but it’s also something Netgear could’ve addressed better. Fortunately, you don’t actually have to use the web app, if you don’t want to get your mobile device involved. There’s an equally quick-and-effective standalone installation, and it doesn’t even require you to use a CD. The WAC124 includes an installation guide, power adapter, and a short Ethernet cable. The cable only runs about two feet, so if you plan on making a wired connection to other devices, you may want to pick up a longer cord. If you’d like to pick up some stronger antennas, these can be detached. Though the included antennas provide little reason for people to do that, they’re not bad. Netgear also includes a one-year warranty. That’s a little on the short side for a warranty, but it still provides adequate coverage. Humorously enough, Netgear estimates this equipment is capable of running for about 50-years before needing replacement. At least, when operated around 77°F. That estimate only decreases slightly when you start to consider warmer environments. One of the reasons this wireless access point is inexpensive is because it doesn’t contain a built-in modem. Given the kind of multi-purpose design and adaptable nature of the WAC124, that’s not really a problem, but it’s something to keep in mind for people who are looking for a simple one-unit solution. Who Should Choose Netgear WAC124 Dual Band 4×4 Wireless Access Point? When you’re setting up a Wi-Fi network for a smaller area of space, like 1,500 square feet, you don’t need enormous mountains of network hardware to do it. The WAC124 can provides 2 Gbps of bandwidth throughput. That’s not very impressive from a numerical perspective. But it’s literally about a thousand times faster than the average American’s internet speed. The WAC124 was made for dorm rooms, home offices, retail shops, and similar small spaces. It’s only when you expect greater things that the WAC124 will disappoint you. When you’re trying to reach 5,000 square feet, that’s when you’ll encounter some issues. When you’re trying to draw more than 300 Mbps through the 2.4 GHz band, you’ll run into some frustrations. But those are some high ceilings. And the WAC124 wasn’t made to impress, it was made to be cost effective. To that end, this WAP could be considered a total success. For small businesses searching for simple Wi-Fi solutions for an office, cafe, or retail space, something like the WAC124 is ideal. 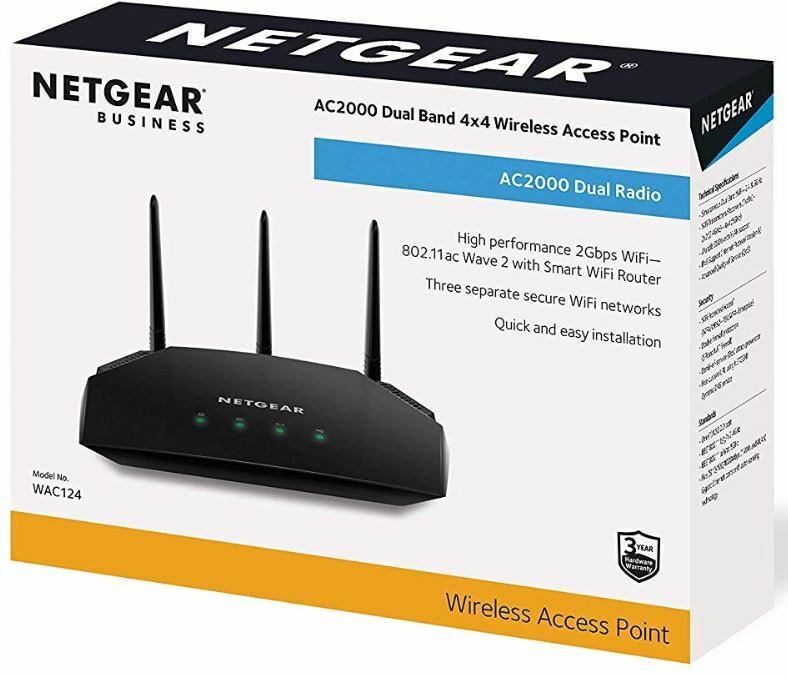 If you’re searching for something inexpensive, simple to use, and you don’t anticipate requiring more than 2 Gbps of bandwidth, it’s definitely worth picking up the Netgear WAC124 AC2000 Dual Band 4×4 Wireless Access Point.